Fresh off an Emmy nomination for Best Drama, some members of the cast of "This is Us" tell us how to cry when watching the show. 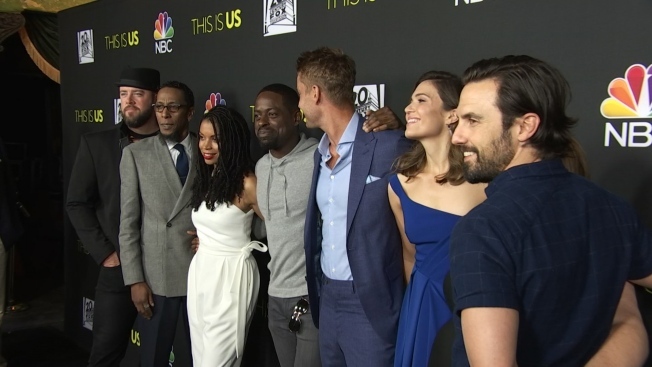 The details of a tragedy looming over "This Is Us" will be revealed in season two. Dan Fogelman, creator of NBC's time-shifting hit drama series, said the circumstances about the death of doting family man Jack will be part of the show's sophomore season that begins Sept. 26. "If that is a question that is haunting people, in the course of the second season" they'll get the answers they need and more, Fogelman told a TV critics' meeting, surrounded by the show's ensemble cast including Milo Ventimiglia, who plays Jack. His character's ultimate fate — but not how he meets it — has been a key part of the show that travels between the past and present of Jack, wife Rebecca (Mandy Moore), their three children and family circle. Jimmy Fallon chats with Chrissy Metz, who shares how she didn't even have enough money to get gas on her way to audition for "This Is Us." Fogelman said the season's first episode will create "some momentum" toward filling in the blanks about Jack's death. But characters who die are revisited in the show's era-hopping that's intended to illustrate how "the past influences the present," he said. "Jack has been dead the entire season, and he's nominated for an Emmy," Fogelman said, wryly. The hit drama earned 11 Emmy nominations for next month's ceremony, including acting nods for Ventimiglia, Sterling K. Brown, Chrissy Metz and Ron Cephas Jones. Its best-drama series bid is the first for a network show since "The Good Wife" in 2011. The show's present-day story line will pick up shortly after it ended last season and on the 37th birthday of siblings Randall (Brown), Kate (Metz) and Kevin (Justin Hartley) — one year after they were first introduced in the season-one opener. The focus will include Randall's fervent wish to adopt a child; Kate's pursuit of a singing career, and Kevin's acting career. Sylvester Stallone will make an appearance as star of the movie that could represent Kevin's big break. For parents Jack and Rebecca, seen in the early years of their marriage, the action begins immediately after a bitter argument. Moore also will spend a "lot of time" in aging makeup for the later years in which her widowed character has remarried, Fogelman said. "I'm so happy to have this job. I'll sit in age makeup and prosthetics makeup as long as I have to," Moore said.